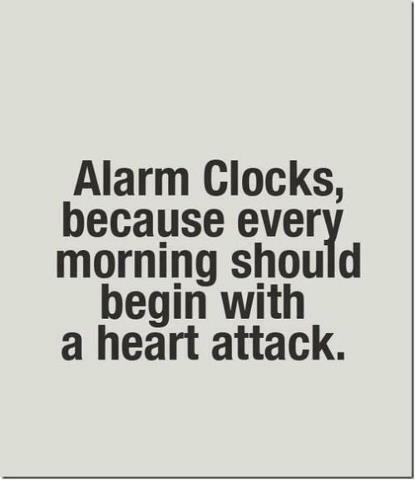 Have I mentioned how much I Hate Mornings!? Scott is at the Dr. now and I fully except for him to come home and snuggle up with me for a few more hours. I fully intend on going back to sleep in just a few minutes. I was up way too late with husby and there is no way I can get through this day on 4.5 hours of sleep. If I do.. I am going to be a super grump, so its back to dreamland for a while today. I feel so blessed to be able to come back home after taking my son to school and go back to sleep. Its a real blessing because I stay up late all the time and would be a total mess without a morning or afternoon nap. Thank you guys on here and on facebook for all the kind words about the loss of my husbands dad. Mr. Jaggers was very loved and will really be missed. I hope you have a great morning.. we are still on kitty watch too! I hope they come soon!!!! 1 comment on "Have I mentioned how much I Hate Mornings!?" I'm not a morning person either. Even if I go to bed early, I still don't want to get up until around 8 or 9. *sigh* Sadly, my work schedule doesn't exactly allow for that most days, and I feel guilty on days when I don't have to work and sleep in.